WakeMeUp! 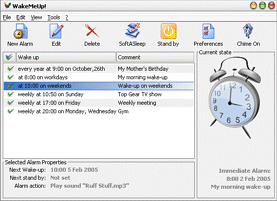 Main Window (Mac OS® skin). Click to enlarge. 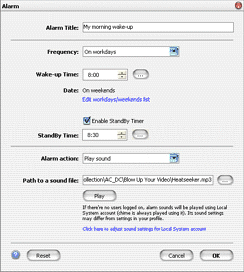 Editing an Alarm (Mac OS® skin). Click to enlarge. WakeMeUp! Main Window (Longhorn skin). Click to enlarge. 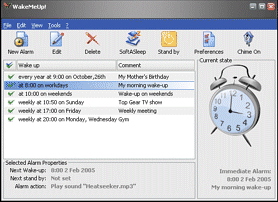 Alarm Notification (Mac OS® skin). Click to enlarge.